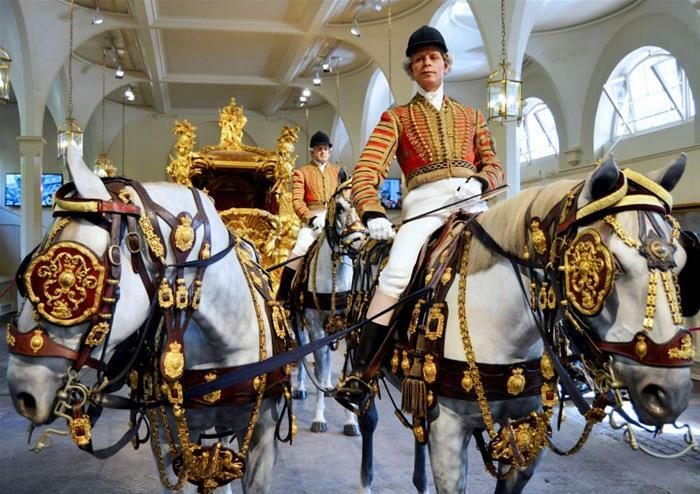 Buy Royal Mews tickets and explore the magic of the British monarchy! During State Visits and royal events. 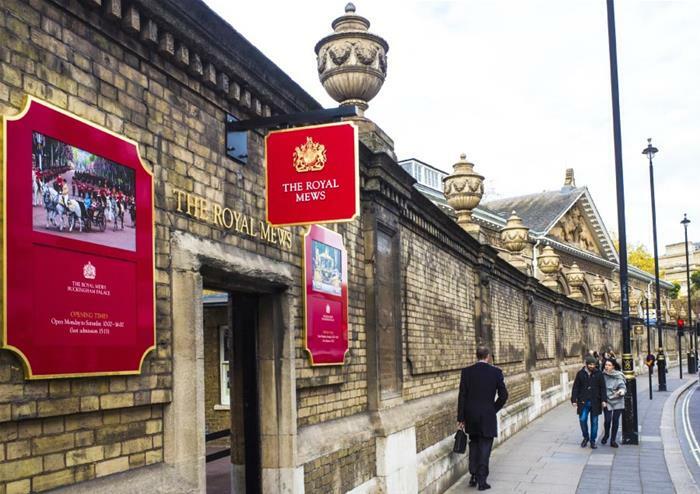 The Royal Mews houses the spectacular State vehicles that are used for coronations, State Visits, royal weddings, the State Opening of Parliament and official engagements. You’ll see ornate horse-drawn carriages and sleek motor cars during the visit, a particular highlight being the historic Gold State Coach. 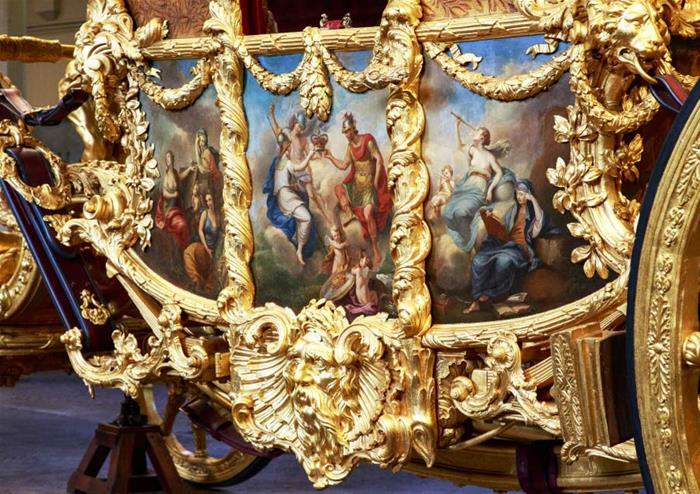 This coach has been used at every coronation from George IV on wards, and was the vehicle of choice for the Queen’s Golden Jubilee in 2002! The Cleveland Bays are the only British breed of carriage horse, and these working horses play an important role in the Queen’s official and ceremonial duties. 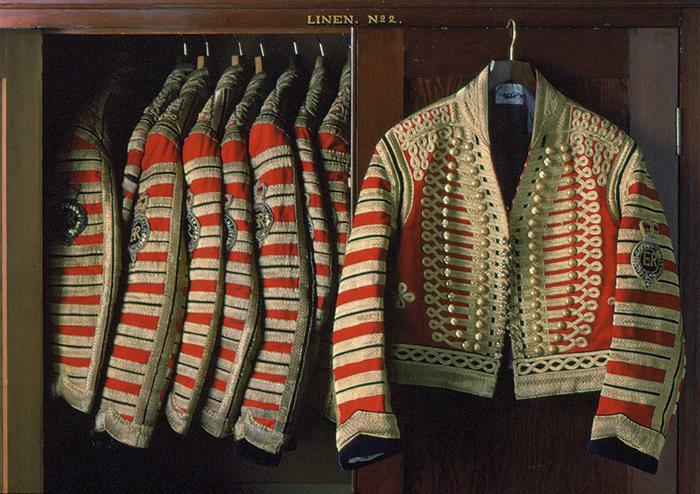 The horses are based at Royal Mews, along with the Windsor Grey breed that also pulls the royal carriages. Please be aware that during your visit the horses may be on duty, undergoing training or having a well-deserved rest away from London, so they might not be on view. The Diamond Jubilee State Coach was unveiled during the State Opening of Parliament in 2014. Built to celebrate The Queen's Diamond Jubilee in 2012, it is only the second coach to be built for the Royal Household in over a century and has successfully combined traditional craftsmanship with modern technology. The State Coach measures five-and-a-half metres long, over three metres high and weighs over three tonnes. Contained within the coach is a 'Thousand Years of British History' with artefacts from The Mary Rose and the gun metal used for Victoria Crosses. On the roof of The Diamond Jubilee State Coach is a carved Imperial Crown created from specially selected oak from Admiral Lord Nelson's ship HMS Victory. Another unique quality is that the crown was hollowed allowing for the installation of a small camera to film the crowds lining the route. Other modern conveniences such as electric windows, interior lighting and heating can all be controlled via an interior hand panel concealed in the teak armrests. The Diamond Jubilee State Coach is now on permanent display at the Royal Mews.